There are a number of ham related podcasts that I listen to. I've always been a listener - reading or watching TV have never been my thing! So radio and now also podcasts are the main way I get my news and information. This is not an exhaustive list of ham podcasts, but are the ones I have on my podcast app. To subscribe to their RSGB news service, either search for TX Factor in your podcast app, or use the RSS feed at http://feeds.feedburner.com/TXTalk to subscribe. 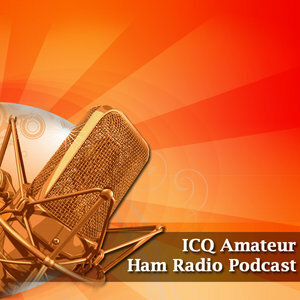 QSO Today is a podcast in whigh Eric Guth (4Z1UG) once a week, interviews the movers and shakers in the radio amateur world. It is worth going through his back catalouge of interviews to pick out some of the well known (and not so well known) names in amateur radio. 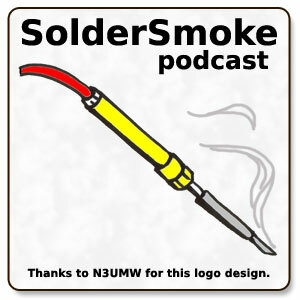 Solder Smoke is a podcast which concentrates on the construction side of the ham hobby. Whilst a lot of what they talk about does go over my head, it is still a very interesting and entertaining podcast. This Ham Radio podcast deep dives on making, DIY, electronics, and technical topics of interest to the amateur radio operator.